Hydro energy is the most important renewable energy resource. It has a lot of advantages over other energy resources . Also, it is one of the pollution free energy resource. Most of the hydro-electric power plants that generate electricity are built in remote areas that are far away from the cities. Most importantly this is beacause it needs particular geographical conditions to generate hydel power. Some of the necessary environmental conditions are as follows. A perineal supply of water or dam should be present for artificial storage of water. The temperature of the region should not go below the freezing point. So in the arctic regions, it is not possible to create a hydel power generator. The region must have a steep slope for generating velocity in the surface water or an artificial dam should be used for generating this velocity. The region must have the potentials of industrial development, because the generation of hydel power is quite cheap but the carrying cost of electricity through the copper wire or aluminum wire is too high. Pen-stocks should be set up in the dam wall so that water falls at a high velocity. As the velocity of water increases the amount of electricity generated per unit time will also be increased. Turbines should be set up at the ground level of the dam. Thus when water will flows at high velocity through the pipeline, the turbine will start rotating. This rotation of turbines will finally generate electricity. 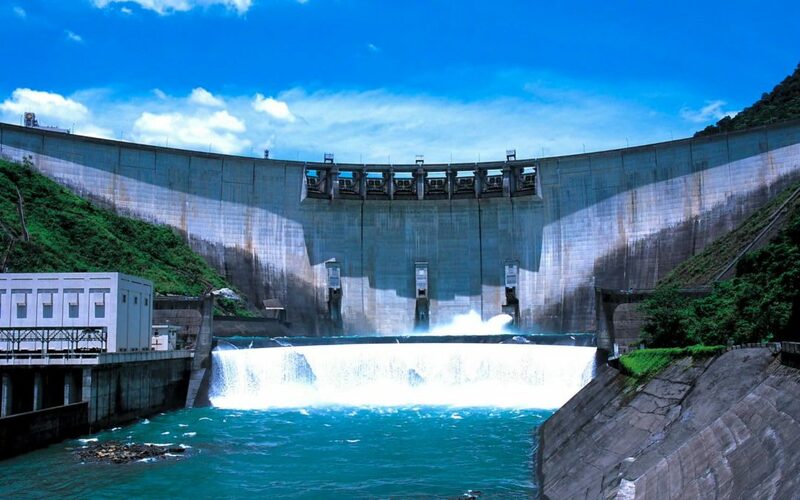 Today, hydro energy is used as the main resource for generating electricity, which is the most important and widely used energy resource.